Since pencils are the one back to school item you will use most often…. why not make it unique. 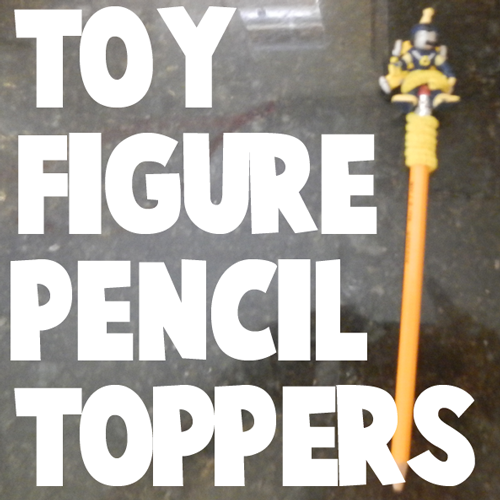 Today I will show you how to make a Toy Figure Pencil Topper. I can almost guarantee that no one else in your class will have a pencil like yours. What is cool is that you probably already have the craft materials around your house. Simply grab one of your favorite toy figurines you have around your house, get a pipe cleaner and pencil and you are good to go. Let’s get started. Wrap a pipe cleaner around end of pencil. And, there you go. Your finished Toy Figure Pencil Topper. Isn’t cute? Don’t be surprised when your friends at school ask you to make one for them too.